Rose gold and champagne lovers, unite! Kate Spade just unveiled a holiday gift for you, which we’re sure you’ll love. Yes, we’re talking about rose gold bubbly–but in jewelry form. Included in Kate Spade’s new holiday collection are champagne-themed accessories all in the girly and still trendy rose gold color. Take a peek! 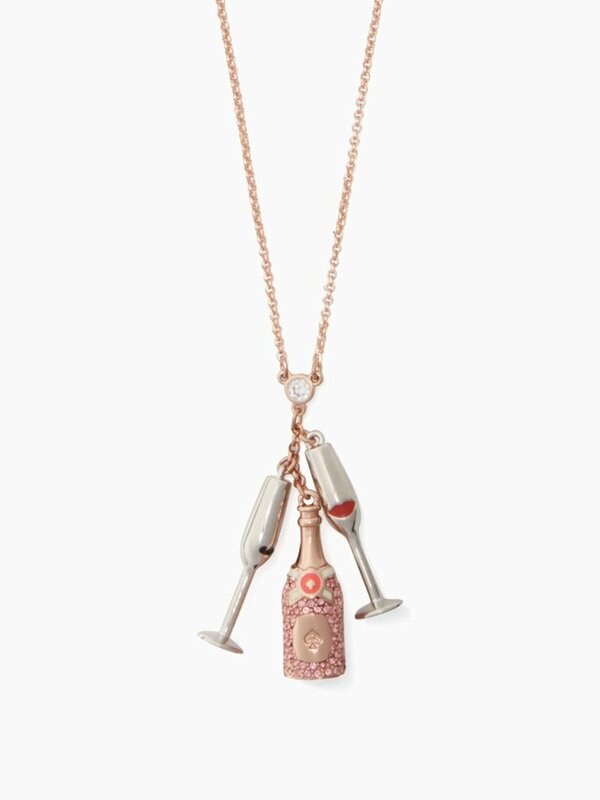 Always bring your bubbly with you with this cute champagne pendant. Of course, it wouldn’t be complete without cute glasses. Pendant costs $98 (roughly Php5000). 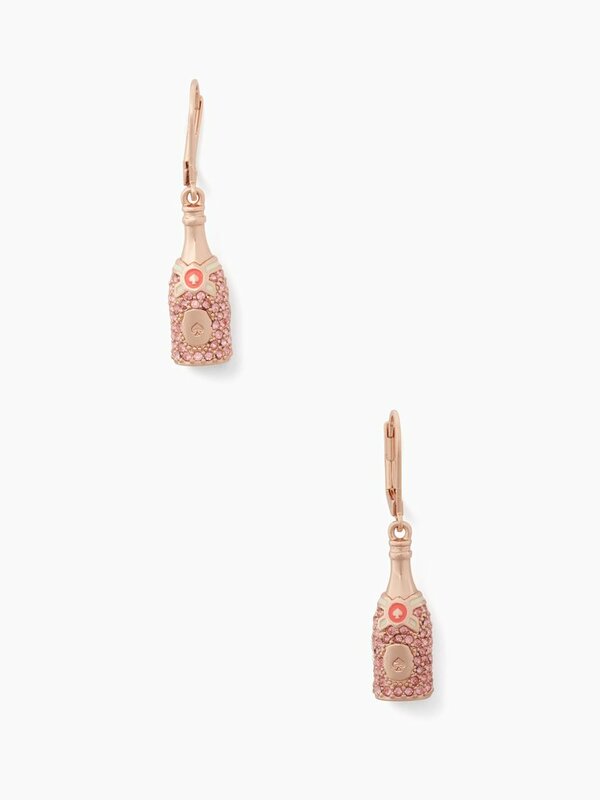 These rose gold champagne bottle earrings are your perfect accessory this holiday season. Get into the festive mode by scoring this cute piece for $68 (around Php3500). 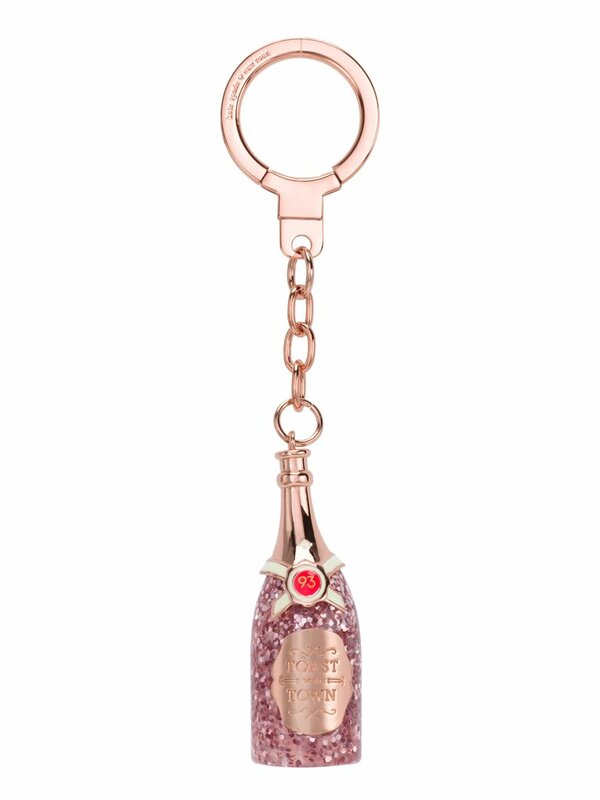 Make your bag/purse stand out with this glittering keychain, also available for $68 (around Php3500). 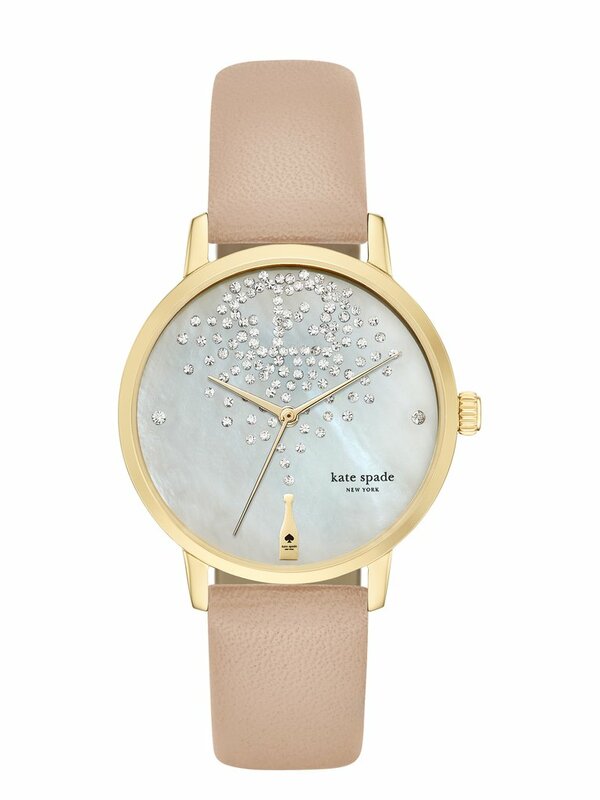 You’ll never miss champagne o’clock with this stylish watch! The simple yet stunning design makes it perfect for both casual and formal outfits. You can score it for $225 (around Php11,600). 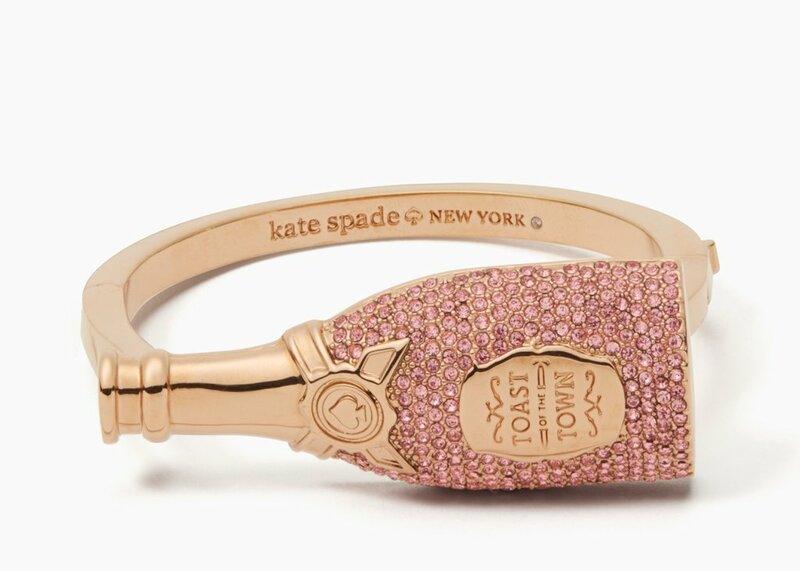 Add some bling in your wrists via this champagne bangle, perfectly labeled “Toast of the Town.” It’s available for $128 (around Php6600). 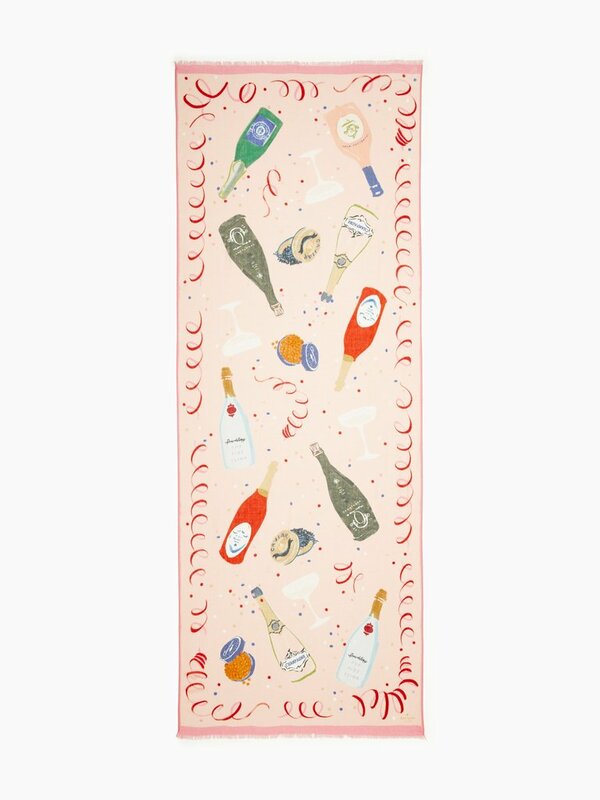 Complete your champagne theme by wearing this fun scarf. It’s available for $98 (roughly Php5000). You can check out other Kate Spade collections here. Now let’s pop bottles and spread the cheer!